From the time we first started conceptualizing our animation business, Animagic, we always had the idea of having people working remotely. It would’ve been hard to say, “Okay, I’m going to limit myself to the people that are living just here in Vancouver.” We do mostly motion graphics and animation for commercial work, and there are a lot of good studios out there. Most of the good talent is already taken. So from the beginning, we knew we wanted to hire people from all over the world. Our headquarters are here in Vancouver, Canada. We have team members and contractors in Mexico — Guadalajara, Mexico City, Puebla and Durango — as well as collaborators in Korea and London, and a team member in Barcelona. We needed a way to work together. For the past year or so, that way has been Redbooth: it’s like our virtual office. When we started out, we were just using an assortment of popular online tools. We started with Dropbox. And then we started working with Basecamp, which was a tool that I had used in film school. It was actually the first online tool that I ever used for project management. We were also using Skype for videoconferencing. As Animagic’s creative director, I tried to make the process as organized as possible. This is important for any team, but when you’re working remotely, organization is even more of a key factor. Everybody needs to know where things are and what they’re responsible for. For us, it turned out that Basecamp was a little bit messy to organize things. We spent a few months trying to setup our pipeline, organizing folder structure on Dropbox, deciding how we were going to organize projects, clients, and all that kind of stuff. As an animation and motion design studio we deal with a large number of files. Organizing this was a bit challenging with Basecamp. It was over a year ago when I finally had enough — and I started looking into new tools to keep us organized. I looked online to find a tool that had all of these things — I remember that I did the classic search, “Best project management tools out there.” That led me to an article with something like “the best 40 project management tools.” I was very focused on finding the features that our team needed. What really caught my eye with Redbooth was the integration with Dropbox. Because for us, Dropbox is one of our main tools for remote collaboration, it’s practically our server. And when I saw that Redbooth integrated with Dropbox, I was quickly won over. The all-in-one aspect was also great for us. Since I have people in different countries, different cities, different time zones, it’s very important for us to have a tool — a central hub. In Redbooth, we have a dedicated workspace for each project we’re working on together. Our process is visible to our clients, and we can also make certain tasks private. This means that we can also include tasks that are internal as well and keep everything for the project in one place, from pre-production to production to animation. Because what we do is creative, of course, but there’s always a process you follow. You first write the script, then storyboards, animatic, concept art and finally animation and compositing. These are all these steps we need to follow for each project. The cool thing with Redbooth is that you can set up templates for task lists. Whenever I create a new project, I simply used the tasks templates which already has all of the steps. Since I have people that are in charge of each step, I assign them in the template so that when I launch it, those tasks are pre-assigned. So it’s really fast now for me to create a new project in Redbooth and set it up. Before, with our old software, it was a very repetitive process. Setting up a project used to take me two hours. Now I can just do it within 10 to 15 minutes. One thing that I found is really time-saving is the fact that you can have access to your work through your phone. Sometimes I’m out in a meeting, and I have other people working on a concept or illustration. When I’m out of the office, I can still be on track and get notifications of updates from the team. I just unlock my phone, check the progress, and even make comments on the fly. So by the time I get back to work, they’re already working on the changes. Without Redbooth, I’d need to wait until I get home, check my email, or check whatever tool my colleague was using to send me that progress. And then they’d need to wait until they were in front of a computer to respond. This actually happened to me yesterday. I was in a meeting with a client and they asked me for a rush project that they needed for an upcoming holiday. As soon as I left the meeting, I asked the concept artist to create a couple of characters that we needed for this project. And then by the time I got home, he already had some sketches. I sent it to the client and had it approved. A little later that evening I messaged my animator in Spain — so by midnight here in Vancouver, he was already working on the animation. In the morning, I woke up and he already had the rough animation done. I sent it to the client at 9:00 a.m., and he couldn’t believe it. Our projects are getting bigger and more ambitious, so it’s important that we have a project management platform we can rely on. Right now, in addition to our commercial work, we’re working on our first intellectual property project: A social campaign named I am More to create awareness about girls with low self esteem and body confidence. This particular project is huge and we are planning to keep producing everything remotely so we are gonna need all the best tools to be able to achieve this. As we get ready to promote this project, we’ll be reaching out to engage people and companies beyond our team. We’re planning to bring them into Redbooth to coordinate with them on that as well. I can already tell it’s going to be really cool. 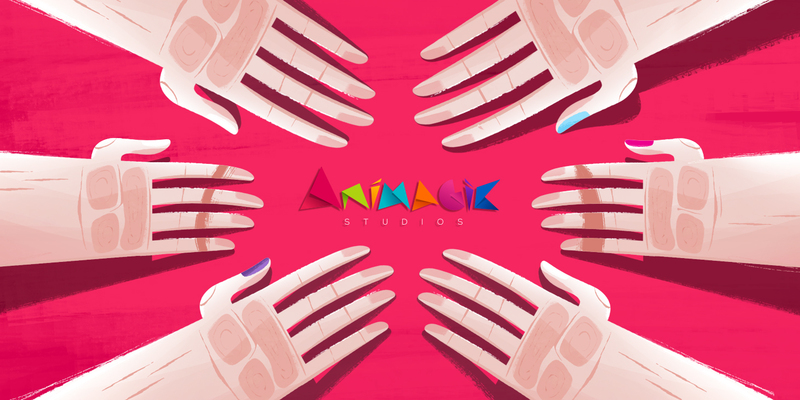 At Animagic, we’re committed to creating stories and projects with purpose and meaning, and using our talents and skills to create a positive impact in society. 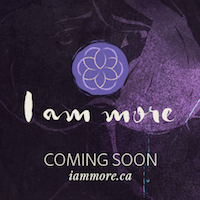 With I am More, we will be creating awareness about self-esteem and body confidence in young women. To find out more, visit our website or follow us on Facebook or Twitter. David is Animagic's Co-founder and Creative Director. His background in graphic design has helped develop Animagic’s unique style. In collaboration with his team and with a unique remote work culture and pipeline, David is always trying to improve the quality of work and the quality of life of his team members. Besides his love for motion design and animation, he enjoys swimming, movies and having meaningful conversation with people around him.